Thanks for this picture Marinus, I'm not sure what it is, but perhaps one of our readers will know - would you be able to let me know where you saw this bird, what it was doing, what time you took the picture, was it near a lake or river? I will also post this on our facebook page so that our facebook followers can enjoy it. 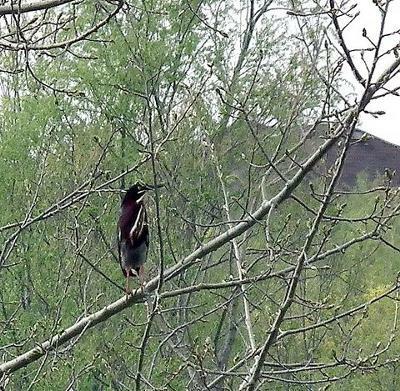 This is definitely a green heron. Great shot. Thanks for sharing it!